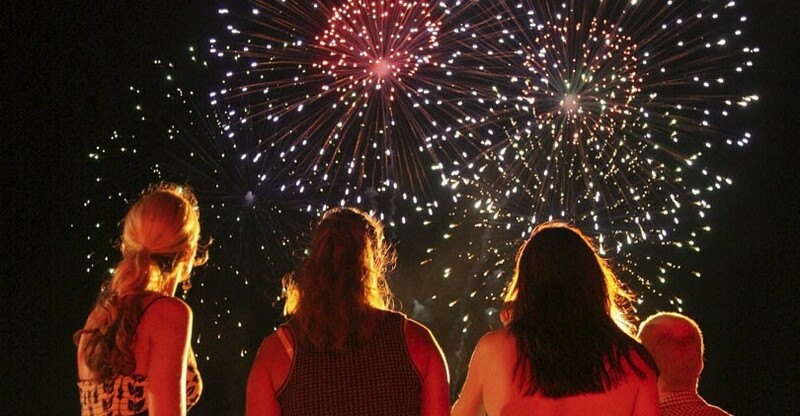 We put together a comprehensive list of all the 2016 North County San Diego Firework Shows. All events are held on Monday, July 4th unless indicated otherwise. Have a great Fourth of July / Independence Day celebration! Event Info: Bring chairs or blankets for lawn seating. The event features food, carnival games, music, sports, jumpers and food sales. Live entertainment by Beta Maxx. Funded entirely by donations from the businesses and citizens of San Marcos. More Information – Great View of Fireworks from Santa Fe Hills! LEGOLAND Red, White and BOOM! Event Info: Don’t miss Fireworks set to a patriotic musical tribute with great viewing in designated locations throughout the Park. Throughout the day, kids of all ages can enjoy performances, meet their favorite LEGO® Friends and Characters, and participate in all-American family picnic games, like water-balloon tosses, burlap sack races, the Family Build Challenge and LEGO Hamburger relay. Time: 7:15 to 9:00 PM. Fireworks start at 9pm. Event Info: The City of Vista’s Annual Independence Day Celebration returns with plenty of food, family fun and fireworks! Event Info: Sunday, July 3, 2016, at El Corazon site at Rancho Del Oro Road. Music, food trucks, and fireworks show that starts at 9:00 pm. Recommended Viewing Location: Rancho Del Oro Road between Mesa Drive and Oceanside Blvd. FREE Parking is at El Camino High School and the Business Park – bring a beach chair, and walk to viewing location (closed portion of Rancho Del Oro Rd). Event Info: Join 20,000 patriotic festival-goers for Escondido’s 53rd Annual Independence Day Festival & Fireworks. This free community event features rockin’ live music by the Manny Cepeda Orchestra Quartet, Ke’Ahi & Halau Hula O Makalani Na Pilialoha, and the Jonathan Lee Band, fabulous food vendors, and a wealth of children’s activities and games for everyone to enjoy. The day’s festivities will conclude with a special performance by Camp Pendleton’s 1st Marine Division Band and, of course, a dazzling fireworks display! You won’t want to miss this annual North County tradition! Event Info: The 2016 Ken Grody Ford Beach Bash will feature DJ Mike, exciting kids’ activities, Tribute to Heroes video, fireworks show, food trucks, Margaritaville and the MCX Del Mar Exchange. Enter a drawing for the Ken Grody Ford Cash Prizes and 2016 Ford Focus STi. Hit the sand and surf early and plan to stay late! Check out the schedule of events for a detailed list of activities along with the concessions and FAQs for a day of patriotic fun. Event Info: What better place is there to spend Independence Day than at the San Diego County Fair? Highlighting the day will be the traditional fireworks display, which will happen at approximately 9:00PM. The fireworks display is visible throughout the Fairgrounds, so as long as you’re outside, there’s no better place to watch! We’ll start the day with a patriotic Opening Ceremony about 9:30AM at the O’Brien Gate. When the gates open about 10:00AM, there’ll be plenty to do. Event Info: Grand Tradition will be hosting its annual 4th of July Celebration in Grand-style! Join us in celebrating this all-American family tradition with an evening of family games and activities, savory food and drink selections, live bands, military salute, and of course an explosive firework finale. 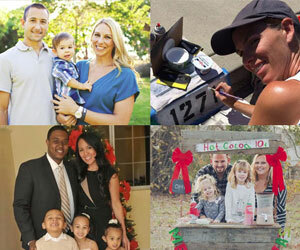 Proceeds from the event directly benefit the community of Fallbrook. Grand Tradition is proud to be a major benefactor of the Fallbrook Beautification Alliance and support their efforts keeping the community beautiful. Time: 6:00 to 10:00 PM. Fireworks at 9 pm. Event Info: Enjoy spectacular fireworks as they light up the sky over Lake Poway High School Stadium. Games, activities, and a DJ spinning the tunes round out the fun. Gates open at 6:00 pm. Fireworks begin at 9:00 pm. Please arrive early to allow plenty of time for parking. Event Information: The evening opens at 6:30 p.m. at the Athletic Field of Bernardo Heights Middle School at 12990 Paseo Lucido, with an array of entertainment. Public Address System courtesy of the Rancho Bernardo Veterans Memorial Association. Rancho Bernardo’s lavish fireworks display, “Sky Concert” produced by PYRO Spectaculars, begins at 9 p.m. The fireworks display ends with a Grand Finale display of nearly 400 high altitude shells. This event should not be missed. Seating is on the grass and it is suggested that those attending bring blankets or lawn chairs. There is reserved seating and parking for Freedom Club members. Parking is free in the student parking lot off Avenida Venusto. Food and refreshments will be available for purchase at the event. Time: Event opens at 5:30 p.m. and fireworks start at 9 p.m. Event Info: The celebration will be held on the field behind Olive Peirce Middle School.